A Creative Cookie: Happy Leap Day! Since Leap Day only occurs every four years, today will be our ultimate Leap Year guide! I just thought this cartoon was so clever! 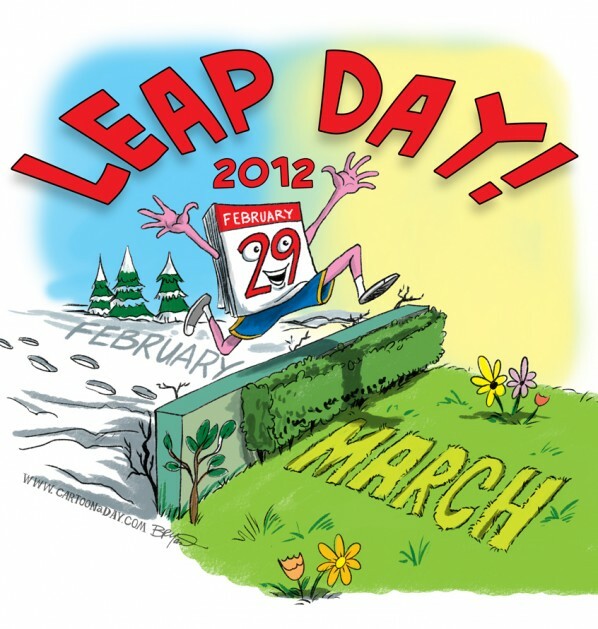 Also, Tip Junkie shares a Leap Year party! Head here to check it out! click here for info on this film and for a trailer! You couldn't forget the movie about today! Also, here are some more crafts and ideas for Leap Day! How are you spending this extra day in the year? Tell me in the comments!